Advancement in technology and an increasingly savvy consumer market has made e-commerce a reality. With more people opting to shop on the internet, SMBs are taking steps to reach this market by setting up online shops. We offer e-commerce design services that will help you reach your sales goals. As more payment services providers get into the market, setting an e-commerce website is no longer cost-prohibitive. Our team can set up a robust e-commerce site for within a few days and without breaking the bank. So, you want to set up an online store? Good. But first things first. One of the major things that buyers are concerned about when shopping online is their security. With major online fraud cases being reported around the world, you cannot blame consumers for being extra cautious. Therefore, when setting up an e-commerce store, you need plan carefully and keep security at the forefront of your installation. What kind of products do you want to offer? Are there any competitors in your niche? How would you like your website interface to look like? You need to carefully consider your goals and brand. It also helps to start building your brand before you even start developing your site. You can also start building clout for your business even before you launch. If you are online, set up some profiles on social media networks like Facebook and Twitter and start connecting with potential. 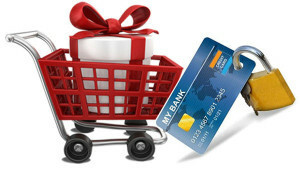 We will develop your e-commerce store the needs of your target customers in mind. The site will be designed to provide a good user experience. To achieve good user experience, we put ourselves in the customers’ shoes and determine what they could be looking for. Customers looking to order at your store cannot physically see or touch the product and compare it to others. We can substitute this missed experience with high quality images of the product shot from various angles. We will make your website easy to navigate for your customers. Apart from this, we will enable search functions on the website and reduce the checkout process. On your store, you will be able to accept payments from all the major payment methods that your target customers use. Developing a sleek e-commerce website is not all that is required to generate sales. It is only the initial process. We make the CTA buttons on your store easily visible. We use bold color, size and design to make the CTA button stand out to the user. See how the CTA button at Avon.com stands out. More than 20% of shoppers prefer finding products using the search function rather than going through the categories. We will simplify searches on your store with auto-complete function. When customers add items to their cart, they want to know that it was actually registered. Somewhere on the checkout page, we will design the cart to show all the items added. We make the cart stand out by using contrasting colors from the color scheme of the rest of the store. We will implement site search, filters and drop down menus to make pages or products easy to find. Well thought out categories and filters will help customers find the items they want to purchase quicker. Our e-commerce design enables visitors to customize their checkout experience. We also include tools that enable shoppers to sort products by release date, bestsellers, reviews, price and so on. There are many ways through which you can generate qualified leads to your online store. The major methods are search engine optimization (SEO), content marketing, and social media marketing. Search engine optimization refers to utilizing different techniques on your website to ensure it appears high on search engine results pages (SERPs) when customers type various keywords related to your products. You can save time by hiring an inbound marketing agency to do the task for you as you concentrate on building your business. 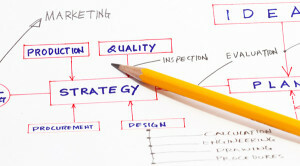 Apart from building backlinks, you should have a content marketing strategy for your website. The strategy will should guide towards achieving your overall goals of getting more sales. You may also want to improve brand awareness and increase your store’s ranking on search engines. Content marketing involves the use of different tactics to generate traffic, leads and sales. Social media marketing, when done right, can improve your company’s brand visibility and create buzz about your products. Social media marketing involves using social networking sites like Facebook and Twitter to connect with customers and close sales. If you need e-commerce design services that will help you get more sales online, call us today. Our team has a wealth of experience in building e-commerce websites that stand out in functionality and design. Contact us through our website form by clicking here.